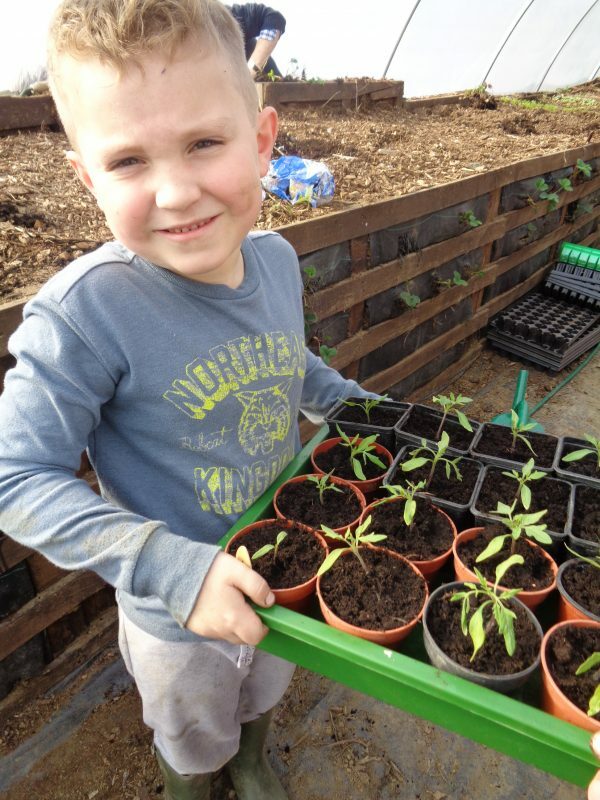 Youngsters at Cropredy Primary School near Banbury have been learning first-hand about where their food comes from, thanks to the creation of an innovative school and community farm. Spearheading the project has been teacher and key stage two leader Mike Wakeford, who was involved in organic growing before becoming a teacher. A neighbouring landowner, whose own daughter is a pupil at the school, agreed to provide a patch of land and, together with another villager, also helps by donating seedlings and plants. “The pupils have been involved since the beginning. The farm is used for lessons such as art and science and they learn about agriculture, as well as enjoying the health and educational benefits of growing their own produce – their knowledge and awareness of different vegetables is increasing all the time, which is really great,” continued Mike. Involving the local community has also been important and a team of regular volunteers helps out each week, while events such as planting days and apple pressing days are also popular. In a boost to the project, Grundon Waste Management, which operates from nearby Banbury, recently donated £4,000 from the Landfill Communities Fund*, to pay for the construction of polytunnels on the site and buy new tools. The school applied for the grant through environmental charity Trust for Oxfordshire’s Environment (TOE2). The polytunnels extend the growing season, allowing the children to start sowing seeds earlier and protecting vulnerable crops from the English weather. Raised beds have also been installed in order to make it easier for the children to work. “It has made a massive difference to our ability to grow things and it’s also helped us diversify the type of crops we can grow, so we were very grateful to Grundon,” continued Mike. In addition, Cropredy Primary School runs a Forest School Programme, where youngsters can enjoy experiences such as building shelters, woodland craftwork, telling stories, cooking over fires, climbing trees and making mud pies. Mike, who is Forest School leader, says it gives children the opportunity to learn in a woodland environment, helping to build confidence and independence, and it also hosts classes for both younger pre-school children and older secondary school children. Ongoing funds to keep the farm project running are raised by selling produce, and through initiatives such serving of breakfasts from the school playground to campers attending the Cropredy Fairport Convention Festival in August.